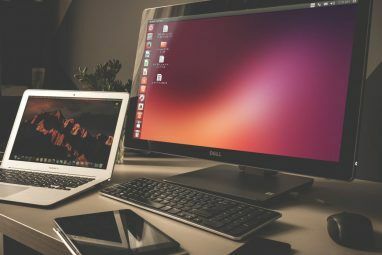 There are multiple ways of backing up files wirelessly 10 Cloud Solutions You Should Be Using on Linux 10 Cloud Solutions You Should Be Using on Linux Some mainstream cloud storage options don't offer a decent Linux client. But you're not out of luck. Many popular services do work under Linux. You can even roll out your own cloud solution! Read More on Linux. Of them all, two programs — Syncthing and Resilio Sync (previously called BitTorrent Sync Build Your Own Cloud Storage with Raspberry Pi and BitTorrent Sync Build Your Own Cloud Storage with Raspberry Pi and BitTorrent Sync Don't believe the hype: the Cloud is far from secure. But have no fear - now you can roll out your own private, unlimited, and secure cloud storage platform. Read More ) — are unique. Not only do they sync your files between your own computers, they also require zero knowledge of how to set up a server. Instead, these apps work on a peer-to-peer basis How P2P (Peer to Peer) File Sharing Works How P2P (Peer to Peer) File Sharing Works Wondering what peer-to-peer (P2P) file-sharing is and how it got started? We explain what you should know. Read More , transferring files between the devices you want without a middleman (such as Dropbox 15 Things You Didn’t Know You Could Do with Dropbox 15 Things You Didn’t Know You Could Do with Dropbox Cloud storage services have come and gone, but Dropbox is probably the one that's been here the longest. And now it has upped its game with a host of new features. Let's explore. Read More ). 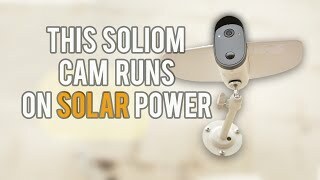 This makes set up very easy, at the cost of leveraging your own computers rather than another person’s. Resilio Sync is the proprietary child of Resilio Inc., which was created by the BitTorrent company to help focus its efforts better. In comparison, Syncthing is open source What Is Open Source Software? [MakeUseOf Explains] What Is Open Source Software? [MakeUseOf Explains] "Open source" is a term that’s thrown around a lot these days. You may know that certain things are open source, like Linux and Android, but do you know what it entails? What is open... Read More — not only can you contribute to its development by posting suggestions, but the guts of it are available online for all to see and improve. Which solution works best for you depends on a number of factors, which will be covered here. However, for the sake of fairness, it’ll only look at the free version of Resilio Sync. Basically, it’s just a way of keeping a set of files updated between two or more devices. This includes things like Google Drive The Only Google Drive Guide You'll Ever Need to Read The Only Google Drive Guide You'll Ever Need to Read Google Drive is the perfect combination of online file storage and document management tools. We explain how to best use Google Drive on- and offline, by yourself and in collaboration with others. Read More , as well as Syncthing and Resilio Sync. It’s useful when you want to keep backups of your files elsewhere, just in case your computer goes down. It’s also an easy way to send files between people. So long as they both have devices that support their chosen platform, they can sync almost anything (with enough bandwidth and disk space Linux Disk Space: How to Visualize Your Usage Linux Disk Space: How to Visualize Your Usage Even with terabyte drives becoming the norm, it's amazing just how fast all of that space can fill up. What if you could see your entire disk space usage at a glance? Read More ). When you get down to it, both programs have more in common with each other than you might think. They both do the same job (file synchronization) and do it in a very similar way. It’s only in the finer details that you’ll begin to see differences for the most part. This might not be much of a problem for people, but it’s still an important factor to look at. 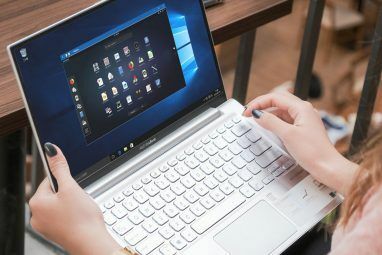 After all, if you want your friends and family to send files between their devices using your program of choice, it helps if they can actually get it on their computer without help. Resilio Sync is at a small disadvantage when it comes to installing on Linux. Since it’s proprietary, and not something very popular like Steam How to Install Steam and Start Gaming on Linux How to Install Steam and Start Gaming on Linux Installing Steam on Linux computers is straightforward, and the result is usually the same seamless gaming experience you had on Windows. Read More , you won’t find it in your package manager’s repositories Which Linux Package Manager (and Distro) Is Right for You? Which Linux Package Manager (and Distro) Is Right for You? A key difference between the main Linux distros is the package manager; the differences are strong enough that it can influence your choice of distro. Let's look at how the various package managers work. Read More . However, Resilio provides a whole guide on how to get and install their product. This includes most major Linux operating systems, including Debian (and derivatives like Ubuntu A Beginner's Guide to Installing Software in Ubuntu with APT A Beginner's Guide to Installing Software in Ubuntu with APT If you've used Ubuntu you have probably used the apt command at some point. But did you know there's so much more to it than apt-get install and apt-get upgrade? Read More ). Syncthing can be slightly easier to get, depending on which Linux operating system you use Which Linux Operating Systems We Use and Why Which Linux Operating Systems We Use and Why It's one thing to recommend a Linux distro. It's another to show you which ones we actually use on a daily basis. Here are the ones we prefer and why! Read More . For example, openSUSE and Debian both have Syncthing in their repositories — it’s just a matter of installing it. For Linux operating systems without it by default, you’ll need to add it manually Need More, Or Updated, Software? Try These 7 Ubuntu PPAs Need More, Or Updated, Software? Try These 7 Ubuntu PPAs Read More , similar to Resilio Sync. Along with this, both also provide TAR.GZ archives How to Compile & Install TAR GZ & TAR BZ2 Files in Ubuntu Linux How to Compile & Install TAR GZ & TAR BZ2 Files in Ubuntu Linux Read More , so you can use them even if you can’t find a package. Both Syncthing and Resilio Sync are quite easy to use. That being said, there are a few differences in how they go about doing this, which will be covered here. The main contrasts seem to stem from the two stances the programs take: as a product (Resilio) and as a project (Syncthing). By default, neither of the two programs have a GUI (graphical user interface) Grsync - A Simple GUI to Help You Use 'rsync' Easily [Linux] Grsync - A Simple GUI to Help You Use 'rsync' Easily [Linux] Read More in the traditional sense. Instead, once you’ve started it up, you open up your web browser and access it from there. For Resilio Sync, it’s at http://localhost:8888/. For Syncthing, http://localhost:8384/. There are also a few third party apps for Syncthing that provide a more native way to access it, such as Syncthing-GTK (Resilio also has this option, but not on Linux). The first time you start up Resilio Sync, you’ll be asked to enter in a username and password. Now, each time you try and access it, you’ll need to provide these credentials. This is meant to improve security — other people using your computer won’t be able to access the control panel. Once you’ve done this, you can tweak its behavior to your liking using their in built settings menu. From there, you can do multiple things, such as disable the sending of statistics back to Resilio. You can also disable the need for authentication to enter the control panel, if you find it annoying. Syncthing is a little simpler to set up. Unlike Resilio Sync, it won’t force you to use authentication, trading security for convenience. However, once you’re in the web control panel, it’s easy to set up in the Settings menu. You can also choose from a light, black, or dark theme 4 Drop-Dead Gorgeous GNOME Themes 4 Drop-Dead Gorgeous GNOME Themes As an avid Linux user I know quite well how customizable my desktop really is. 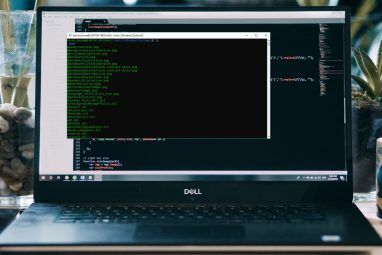 Whether it comes to the desktop shell, or the window borders, or the menu colors, or even the icon theme,... Read More depending on your taste. While both apps work in the same way, using peer to peer, their implementations are a little different. For folders to be shared between your devices, they need to be authenticated using a special code. This prevents strangers from getting access to your files. Resilio Sync makes adding folders to share very easy for end users. The web interface provides a drop-down menu to select the folder of your choice. You can even create a new one if you like! Having done this, Resilio Sync provides you with multiple ways of sharing this folder to your other devices. You can copy over the actual authentication key, or scan in a QR code 8 Really Geeky but Creative Ways to Use QR Codes at Home 8 Really Geeky but Creative Ways to Use QR Codes at Home The plain-Jane QR code had a hi-tech beginning – Toyota used them in their manufacturing process for scanning automobile components. From there, QR codes have made the journey to even fashion ramps. That demonstrates their... Read More for mobiles. Along with this, Resilio Sync can also send over a clickable link — quite convenient for desktop users. The shares also let you choose whether or not other devices can make changes to the shared folder. That is, the ability to add or remove files in the share. It’s useful for places where you only want to send files to other people, for example, to friends and family. Syncthing takes a slightly different approach. Rather than directly sharing folders themselves, you add the devices you want to sync with first. Basically, this means that you only need to add the authentication code for each device once, rather than on a single folder basis. 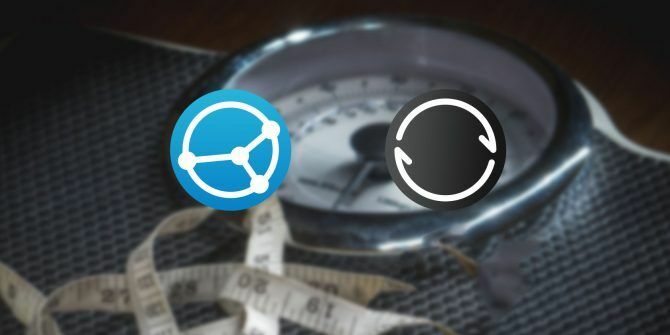 Syncthing puts a higher level of trust on the synced devices than Resilio Sync. Having done that, you’re free to add whatever folders you’d like to sync, along with the devices you want to send them to. Unlike Resilio Sync however, you need to manually type the location in, rather than using a drop down menu. You also have the option to make the folder read only, similar to Resilio Sync. One interesting feature that Resilio Sync supports is the sharing of encrypted folders How Does Encryption Work, and Is It Really Safe? How Does Encryption Work, and Is It Really Safe? Read More . Basically, it’s a way of syncing content so that it’s hidden on a target device — they can’t read what’s inside. This feature is unique to Resilio Sync, one of the few major differences between it and Syncthing. This sort of share is designed as a way of spreading your content to untrusted devices, such as a third-party computer. It helps keep Resilio Sync reliable and fast — the more devices sharing the same file, the faster the syncing between them. This is because there are more peers to grab chunks of your data from. That being said, this feature isn’t going to be a deal breaker against Syncthing in most cases. People generally don’t have a third-party computer on hand, after all. You can limit their upload and download speed. You can exclude folders and files to sync (using a hidden text file). Each has a support forum if you run into any troubles. Most settings have smart defaults, so you don’t have to change them. As you can see, both Syncthing and Resilio Sync are actually really similar to each other. You generally won’t be missing out on anything if you go either way (unless you go with the paid version of Resilio Sync). The choice of program really boils down to personal preference. Syncthing tends towards putting a lot of complexity in front of the user, which shows in its web control panel. While this means that it’s generally easier to manage once you get the hang of it, it’s a slightly steeper learning curve. Its open-source nature might also appeal to those who find proprietary models more dubious Is Security Through Obscurity Safer Than Open Source Software? Is Security Through Obscurity Safer Than Open Source Software? Open source software comes with clear security benefits. The opposite approach is security through obscurity. Is one approach actually safer than the other or is it possible that there's truth to both? Read More . Along with that, it means that if there are shortcomings with the program, there are bound to be people to step in and improve them. The third-party front ends for Syncthing are a good example of this. Resilio Sync is a bit more polished than Syncthing, courtesy of being an actual product that people pay for. As a result, its web control panel is much easier to navigate, and even has an extra feature or two more than its rival. Plus, since it’s backed by an actual business, there’s much more user support. Along with a forum, Resilio Sync users can ask for help via email — much more reliable than community responses. All this being said, it’s important to remember the end goal of all this: keeping your files safe. However you go about it, as long as your system is protected, nothing else matters. Any backup is better than none after all. What would you choose? Syncthing? Resilio Sync? Or something else? Explore more about: Linux, Wireless Sync. From my limited experience with both, they seem to have very different approaches for conflict resolution when dealing with a two-way sync. Use to have BTsync, up until sorry after they became Resilio Sync, and honestly have it a good college try by using it with a Linux server and windows hosts to share web server files and other data. It was nice that they would all sync up with each other... if given enough time. It was commonly causing issues on either side, be in with Windows (being utterly slow to pick up changes, or being responsive but CPU hungry, or out right half crashing and forcing it to be reopened and forcing a sync check) or in Linux (chewing through inotify limits, corrupting share's versions, deleting it's own config that was in the same folder, excessive issues with being ran as non-root even when the share was 0760 or even 0777). I think I ended up rebuilding shares more than I actually had it working, and that wasn't before the other transient bugs would happen requiring share DB rebuilds/sync. Mind you, this was only with 2 shares and 4 nodes. It kind of soured my mouth and I went back to using SSH for everything. You might not have given Resilio Sync an extended test... I didn't either before buying the Pro license, unfortunately. Control over share names is limited, so you end up with multiple phones backing up similar folder names being a little harder to distinguish in the management pane. But wait! Then an update or something goes awry on a phone and you factory reset it. Now there's a duplicate. No problem, right, can just delete a device? Actually, you can't! You'd of had to have the foresight to disconnect it before hosing it enough to require a reset. When you've got 3 to 4 mobile devices, a couple desktops, 3 laptops, and a server, and once in a while a device resets or does something that throws ResilioSync off, it quickly spirals in to a management nightmare of wondering what share to reattach to, etc. I have to assume the corporate version, meant to deploy over hundreds of hosts, has a better set of management options, but they don't share the goods with the plebs or single pro users if they do. And it's a darn shame, because in terms of speed I found ResilioSync to be lightening fast, and much more reliable in connecting. SyncThing is pure mediocrity on those fronts, but easier management made it a win for me. It's great to hear you've found a solution that's worked for you! It makes sense that Syncthing would fit better - it seems to be a much more flexible tool, if a bit less friendly up front.